With Valentine’s day around the corner, millions of partners prepare flowers, candy hearts and chocolates for the special day. But the hassle of finding the time, event and creative energy to plan a memorable Valentine’s that doesn’t break the bank seems impossible for college couples. 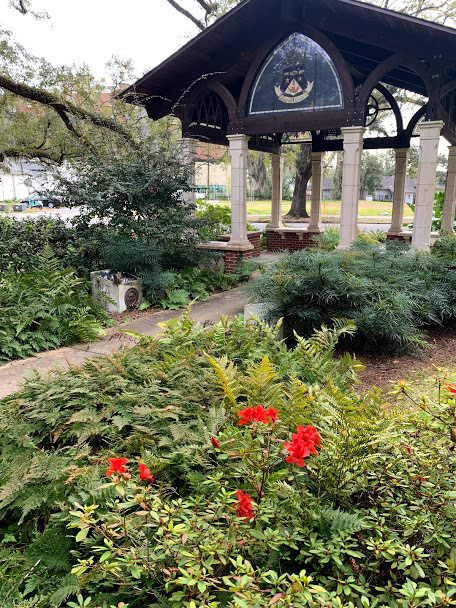 In the spirit of love and romantic gestures, I sought out 10 spots on FSU’s campus that would make for a lovely location for couples and their special day. Want to spice up this years V-day date don’t have the funds? Enter to win a $50 date night on us. 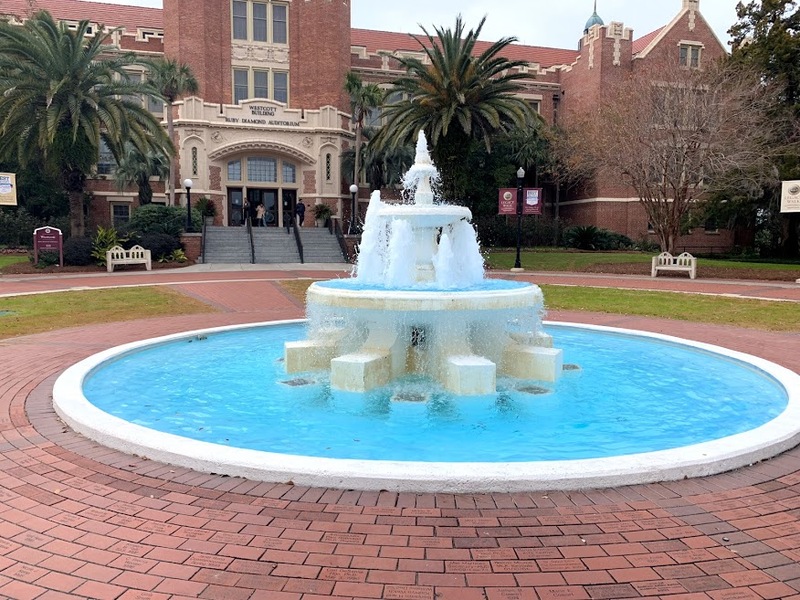 For the Noles on a budget, here are 10 most romantic spots on campus. 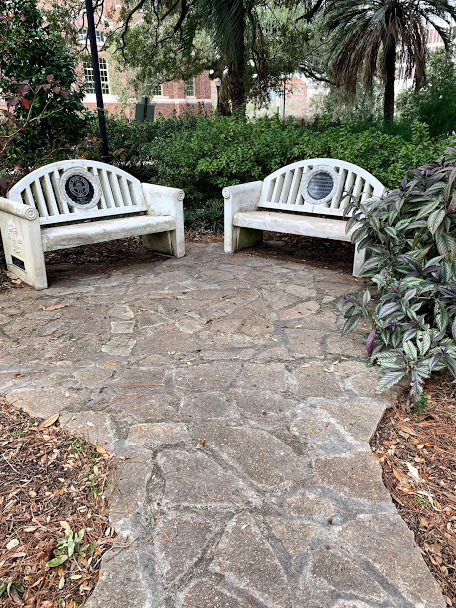 The Green Bench’s legacy on campus for FSU couples spans back decades and seems to still work its magic today. Couples are warned by previous Seminole alum not to kiss while sitting here unless they have plans of getting married. Though, with Valentine’s day coming up, the bench can be reserved for the most serious of couples and serve as a cute and less expensive way of showing their love and loyalty. You know, without buying a promise ring. “I think it is cute how we have something like that. Call it cheesy, but I would think it’s cute if a guy kissed me there,” said senior Molly Koch. As a fan of rom-coms and cheesy cliché love stories, I would have to agree. Let love take center stage at the outside music theatre. 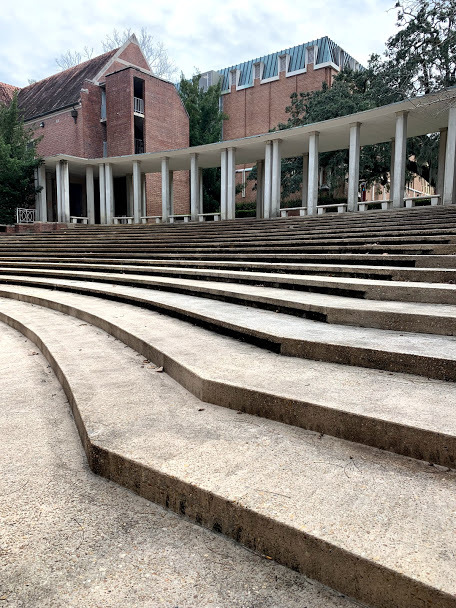 A favorite for its elegant Greek structure, the College of Music’s amphitheater serves as a marvelous spot to have a picnic reminiscent of those of the ancient times. “I sit out there, just to get away,” junior Casey Ameda said. Bring grapes, cheeses and maybe even sparkling water as you and your partner look upon the stars. Soon, the atmosphere will resemble a Greek arena. Take a partner big on culture and or history here. Think outside the box when planning your date. Drawn upon the background to amplify the romance. Can you hear the bells? It sounds like a wedding. If you and your partner enjoy gazebos and the chapel aesthetic, the spot right across The Sweetshop fits your style. There sits a beautiful gazebo, fit to impress any and all. Sort of secluded behind a wall of beautiful pink, reds and blue flowers, a winding sidewalk leads to FSU’s gazebo. 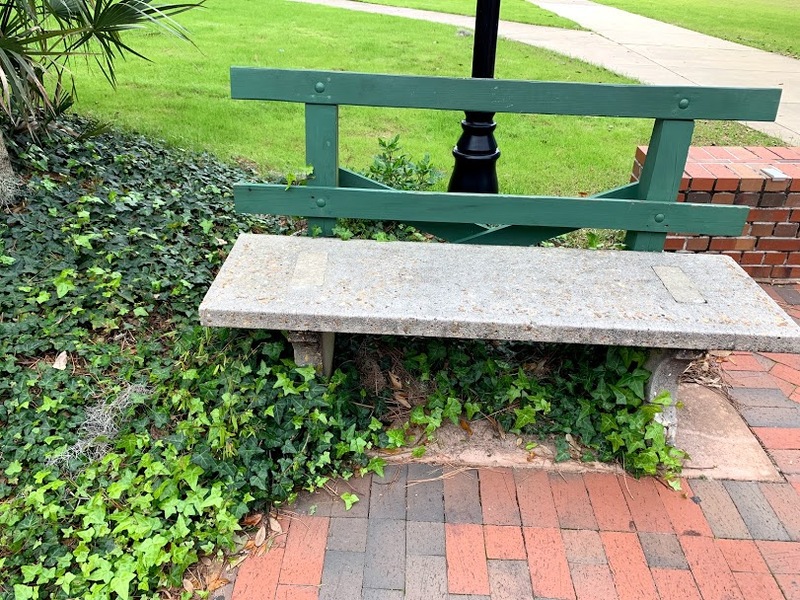 “I never noticed it until I had to cut through rushing to class. I keep telling myself that I’ll come back to it but I never have time. It’s a beautiful spot,” junior Laurel Hamilton said. It’s structure leaves one in awe though inside is just as impressive. Get cozy and snuggle together with a blanket while you both sip hot chocolate and stay up all night star gazing. Play on the chapel effect and the beautiful flowers that surround the area to build the date. A favorite of mine, the bench under the tree outside of Landis hall caters to the romantics who have a classic taste. The inscribing on the bench speak of old Florida State history, which I believe is symbolic for any couple who seeks to create and maintain a lineage to their partner. The tree, lush with green leaves and branches that arc over the bench, adds to that feeling, going off a sense of growth, liveliness and deep roots. All things needed in a relationship that wishes to last. In front of the bench stands a sundial, with pink flowers usually at full bloom. Long term couples passed the honeymoon phase would enjoy this spot and it’s symbolic meaning. 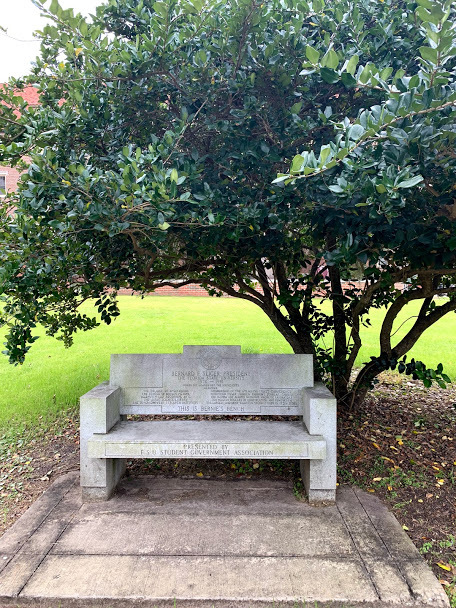 Secluded beneath the high trees and canopies of FSU, sit two benches surrounded by flowers and marked with inscription. Students spoke of this spot and the romantic aspect due to its hiddenness and lack of popularity. “If you are looking to get away, but still be on Landis, that is a good spot to be alone,” senior Aaliyah Adderly said. Me, myself and I tested her statement and she was right. Feeling contained in a mini forest, I created my own little world and enjoyed a break from the chaos that usually unfolds on Landis. I felt myself wishing for a partner to converse with here where no one could hear us. Besides the trees. Following along with the classical feeling, FSU’s Dodd Hall caters to the immaculate. Or the laid-back couples who enjoy turtlenecks and reading each other poems and English literature that professes their undying love. Marble floors with stained glass and winding staircases force you to recognize the beauty of the infrastructure and each other. This place puts you in a philosophical mindset. Couples might find themselves asking, “What is love? Is it a tangible thing? Is there truth in love? 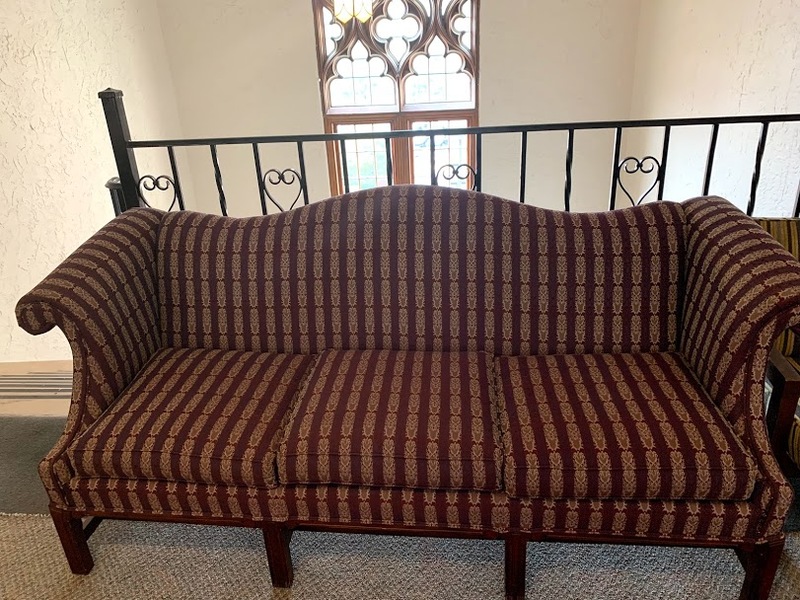 The sublime?” Awe, yes, pick this spot to peer outside large frame windows that onlook the courts, while feelings of giddiness course through you both. If you like the look of Dodd but want a spot outside, look no further than the plaza nestled between the two buildings of Dodd Hall. 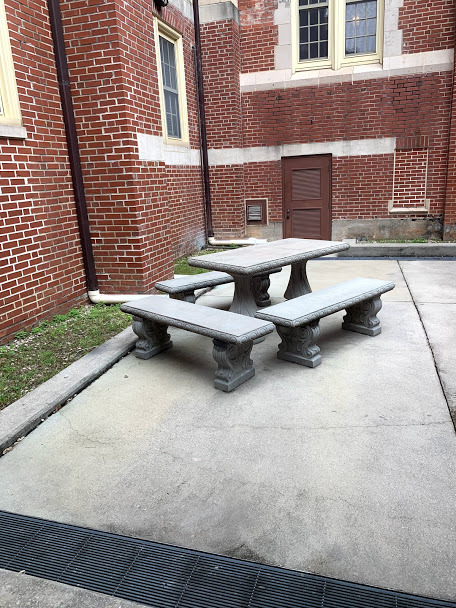 The two benches and tables resemble those of a small royal court and would be perfect for a night picnic. Dressing up one table with the refreshments and leaving the other as a place to engage with one another on a note that has never been reached before, will create memories you both will never forget. Not one for classical styles and evenings? No worries. There sits a beautiful tropical paradise in the plaza right inside the Williams building. Less secluded than the plaza at Dodd, this spot has a more green, lush Florida feel to it. The palm trees that arch over little circle benches with sun umbrellas look like something you’d see on South Beach. “Last year, that area was nothing like it is now, with all of the construction and lack of sitting space. I go out there all the time, now,” junior Leenann Tucker said. Bring your partner here if you want to heat things up. Most people love and visit FSU’s Westcott for its pristine water works. 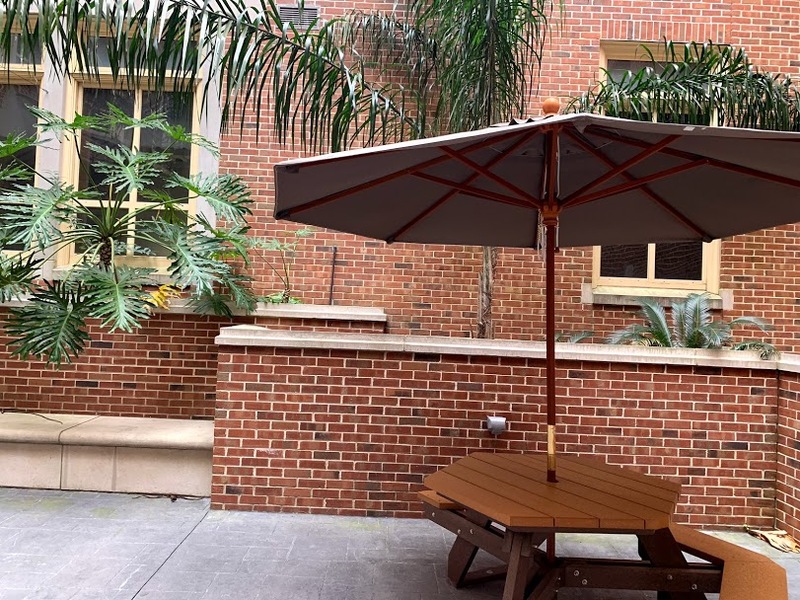 Yet, the location of Westcott, its gorgeous brick layout and ample amount of bench space, also creates a set up that calls to the lovebirds on campus. Less secluded than all the other locations, Westcott makes up for that by giving off a Disney–like exuberance. Imagine kissing your partner in front of the fountain with the backdrop of the university that made your meeting possible. Capture a special moment here that you will hopefully be able to show your children, friends or family one day, reminiscing on the days that your love for one another bloomed. One more fountain, because they’re just the most romantic way to waste water. The Legacy Fountain and/or pool is a great last-minute option if Westcott feels flooded with people on the special day. 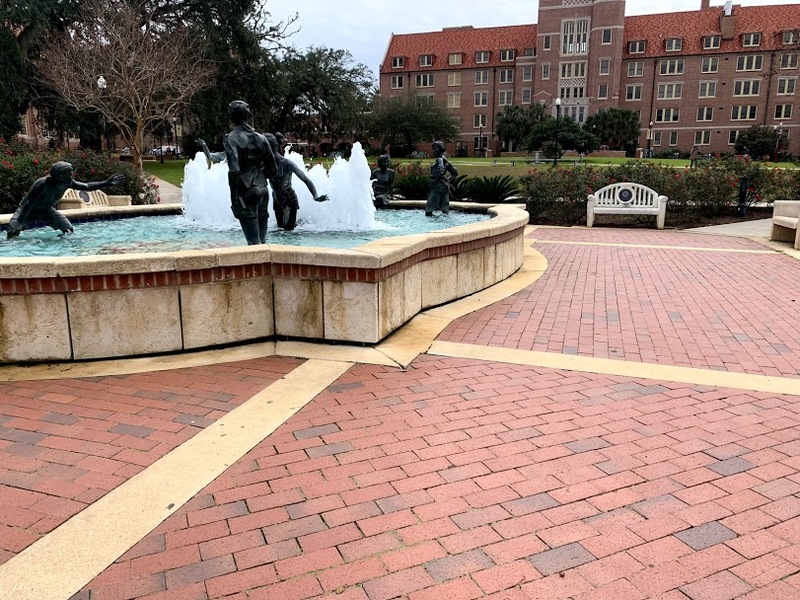 Sitting in the center of FSU’s Landis Green, the fountain serves as a bench and places couples straight in the path of stars and hopeful conversations about the future. The spot also serves for great entertainment, with jazz musicians who take to the grass for jam sessions every once in a while. Lucky couples might be able to catch them. If so, may they dance the night away, with love.